Crown Spas & Pools now offers financing for your pool, hot tub and swim spa installations through Finance-It Inc. With this service, we can work out a payment plan that suits your budget. Approval takes less than 10 minutes and can be provided right on the spot during your project planning. Apply now for financing by clicking the link below. 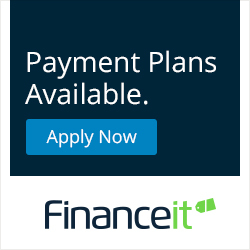 → Financing and term is subject to credit approval by Finance-It Inc.